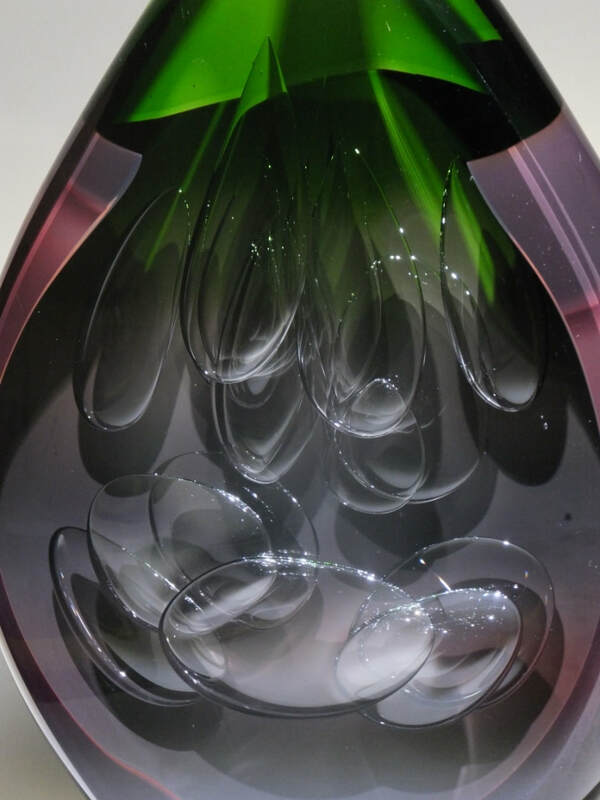 A large flattened teardrop shaped sculpture called 'Boombastic' by Mattias Pettersson for Bergdala Glass, Sweden. 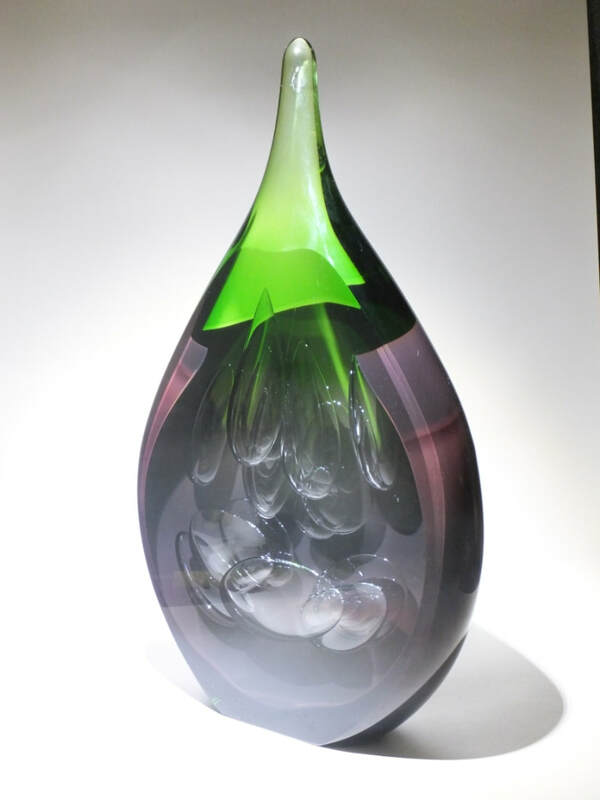 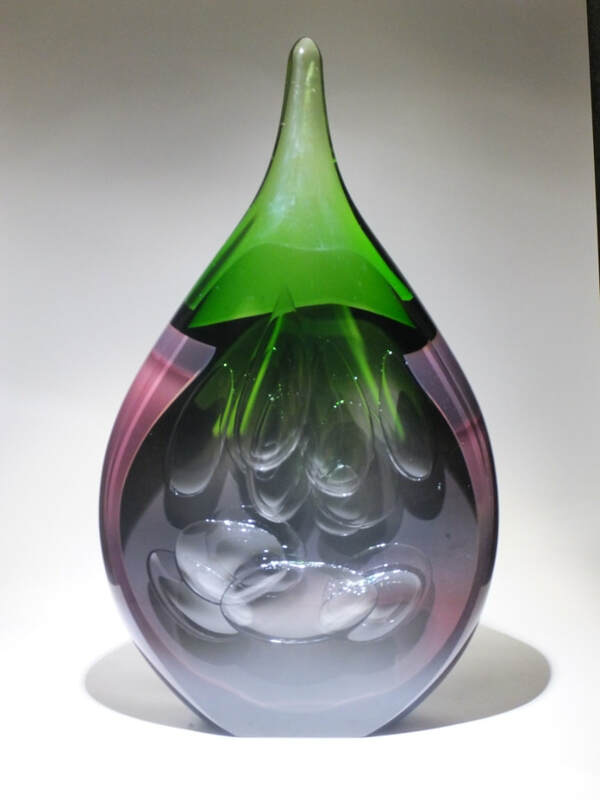 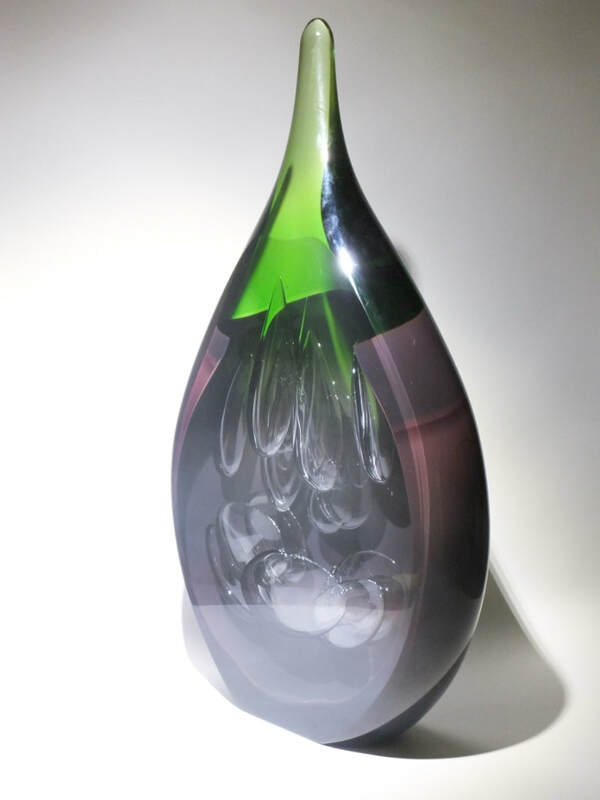 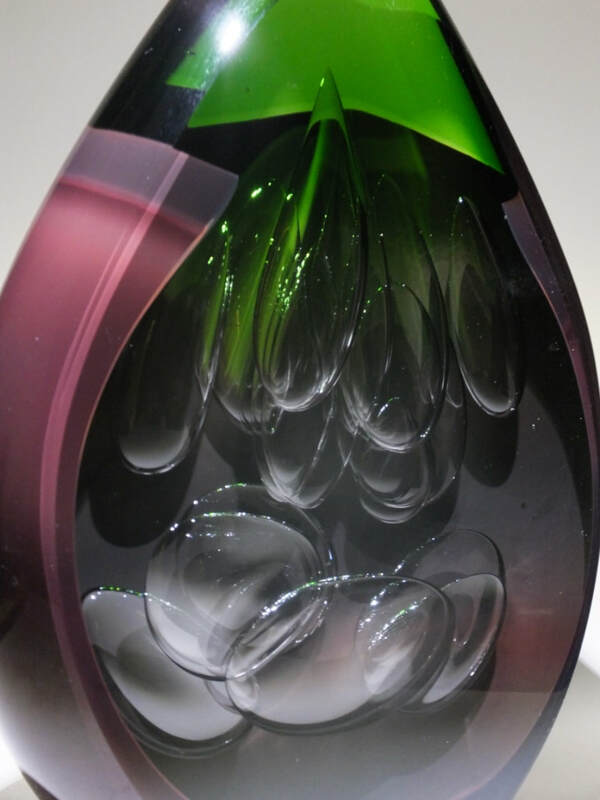 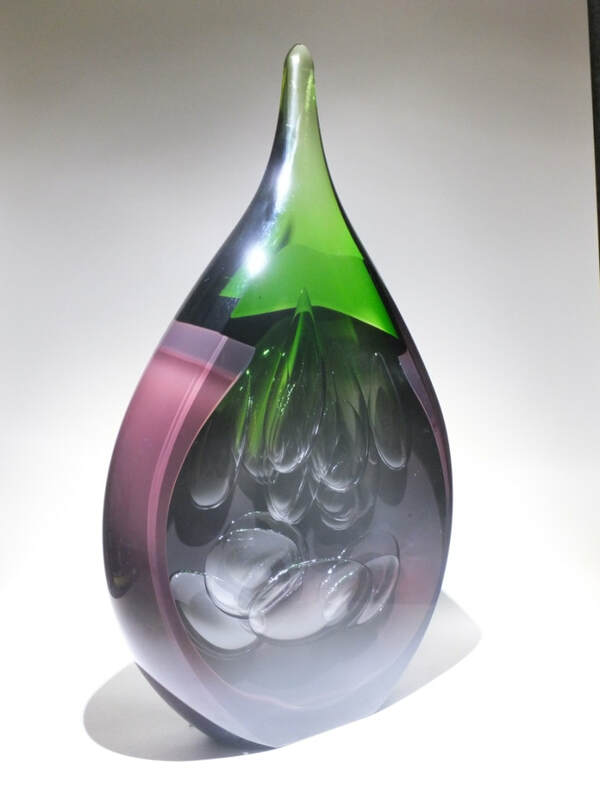 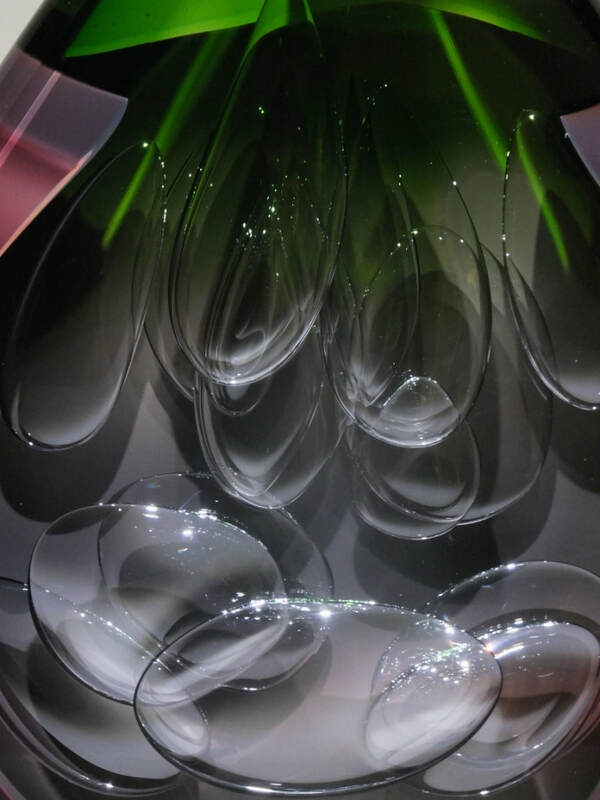 Clear glass shading into green, cased by a richly velvety purple is crisply cut through to reveal a cluster of large air bubbles. 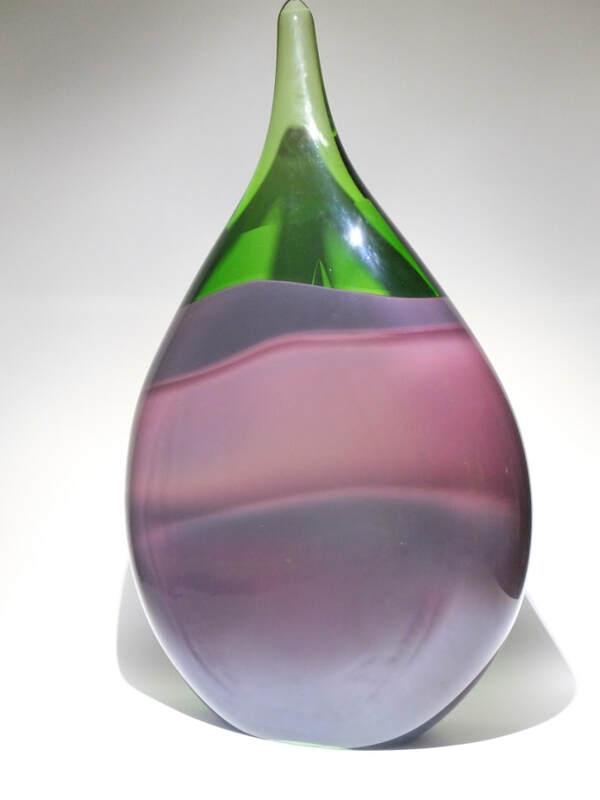 Signed and dated 2014. 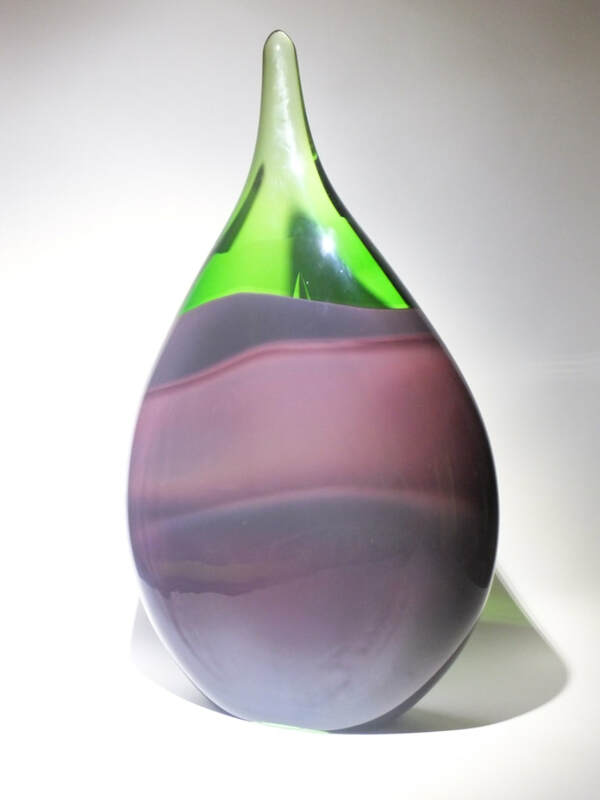 42 cm tall, 25 cm wide, 6.5 cm deep.